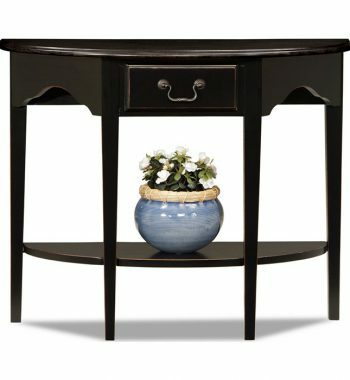 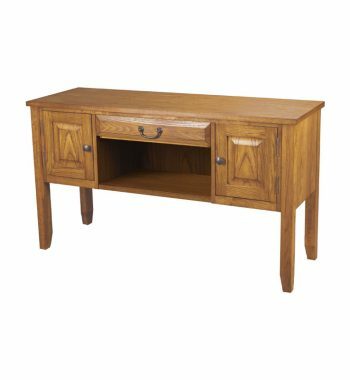 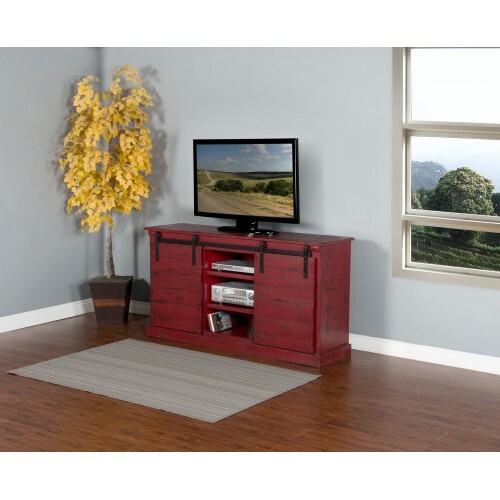 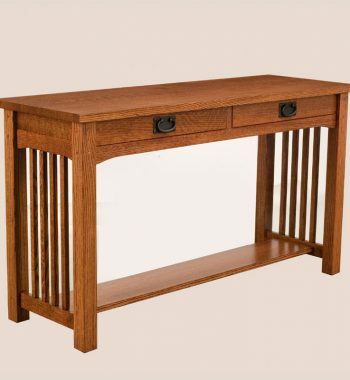 Categories: Console Tables, Entertainment Centers, Living Room Brands: Sunny Designs. 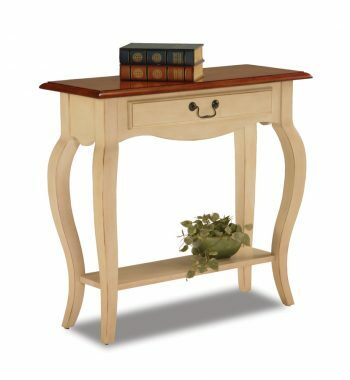 Sedona Entry Console. 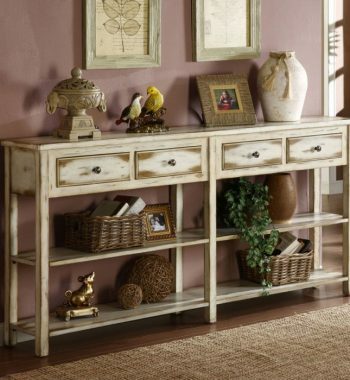 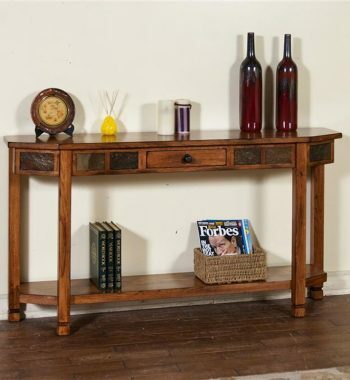 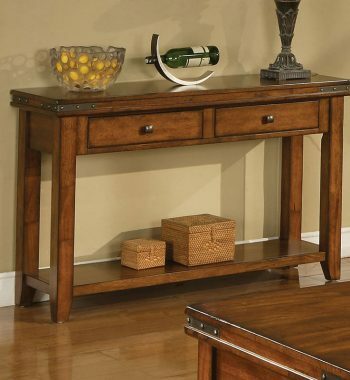 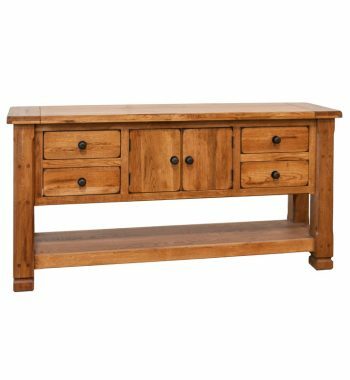 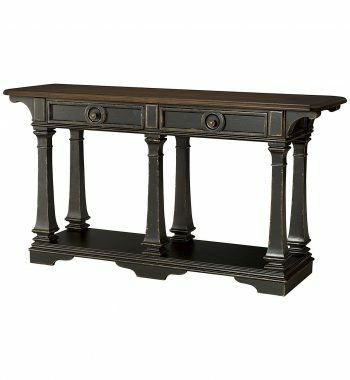 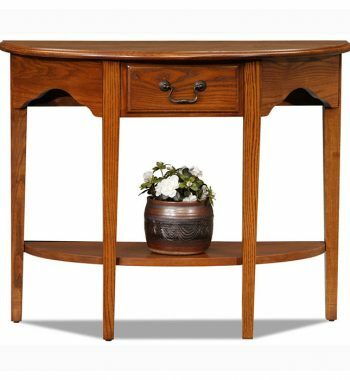 This console table's features include Natural Slates, Simple Assembly, Rustic Oak Finish, and 1 Shelf. 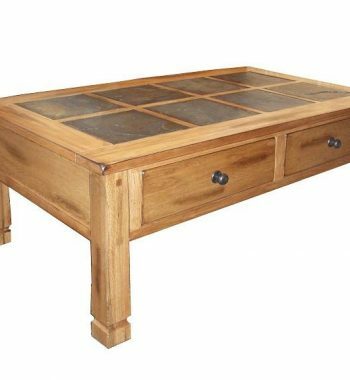 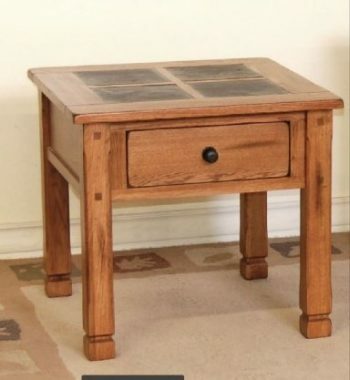 This coffee table has features such as Distressed birch solids and veneers, Natural slates, Dovetailed drawers, and Dented rustic knobs.